Hudson's Bay has a Flash Sale today! 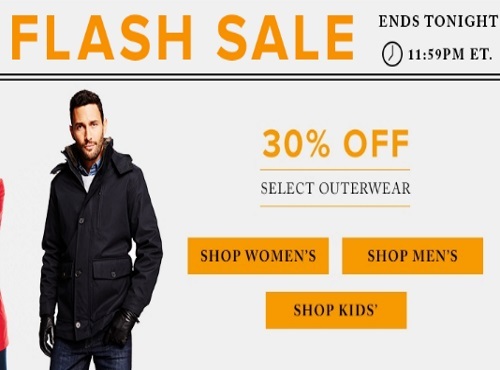 Save 30% off select outerwear for Women's Men's and Kids. This offer is valid online only today, Wednesday August 31, 2016 until 11:59pm ET.